In this week’s edition of Make It Monday, we’ll help you prepare for the holiday season and the winter weather all in one project! 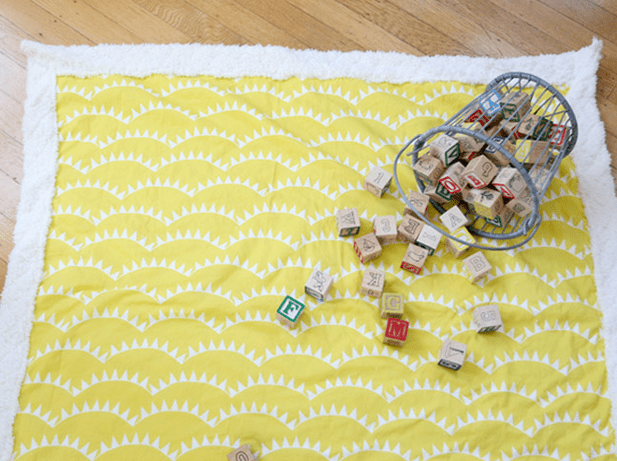 Learn to sew a simple blanket (in any size) that can be snuggled with for years to come. In this series, we kick off the week with a quick and easy project that we’re hoping to make by the end of the week, and we so hope that you will join along! Each Monday, check out our blog for a quick and easy project that can be completed in very little time. During the week, just sneak in a step or stitch here and there, sharing your progress with the hashtag #makeitmonday on the social media platform of your choice. We’ll share what you’re making as we go, rounding up our favorite shares on the weekend! This week, let’s sew a simple blanket to donate to a local shelter or to warm someone you love this winter. If you’re looking for this design in the Spoonflower Marketplace, it’s Pennants, lemon – sun soaking by Natalie. Pretty sunny for a winter blanket, no? We recommend using cuddly Minky and Organic Cotton Knit for a warm blanket. 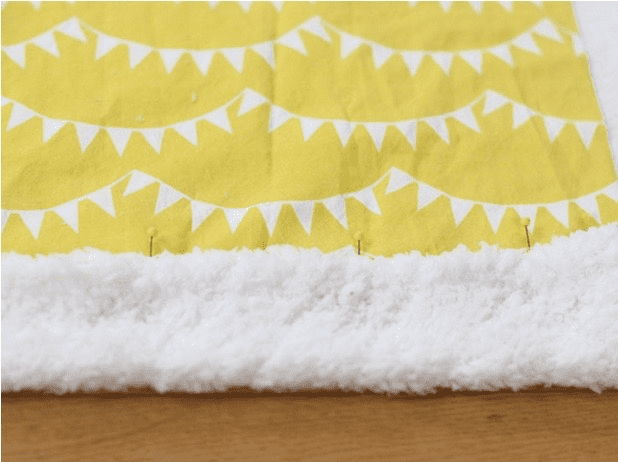 If you’re more of a blanket traditionalist, try this throw blanket tutorial from Let’s Go Sunning instead. 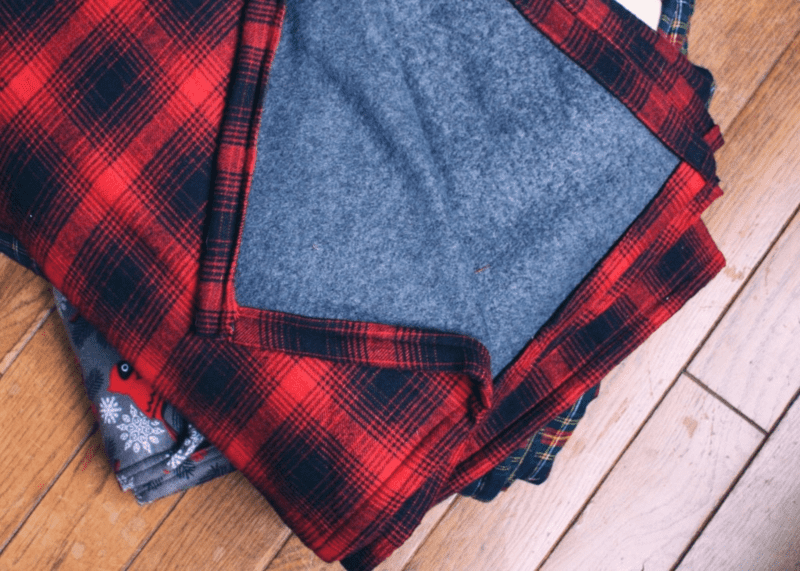 Though we don’t print on flannel at Spoonflower yet, there are hundreds of plaid designs in the Spoonflower Marketplace, and paired with Minky and Organic Cotton Knit, you’ll sew up a blanket that’s as cozy as it gets. Oops! I mean– this blanket is for loved ones, not for keeping! 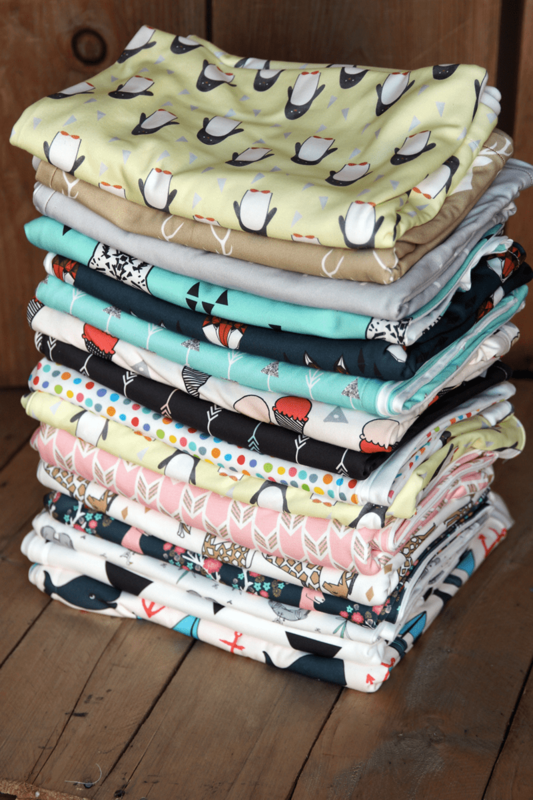 Don’t forget to show us your winter blankets on Instagram, Facebook or Twitter by tagging us or adding the hashtag #spoonflower and #makeitmonday. If you do, we may repost it to show off your beautiful, crafty progress! Have a beautiful and industrious week!